Tumbled Tree Agate pieces, available in a single size, around 20-30MM approximately. 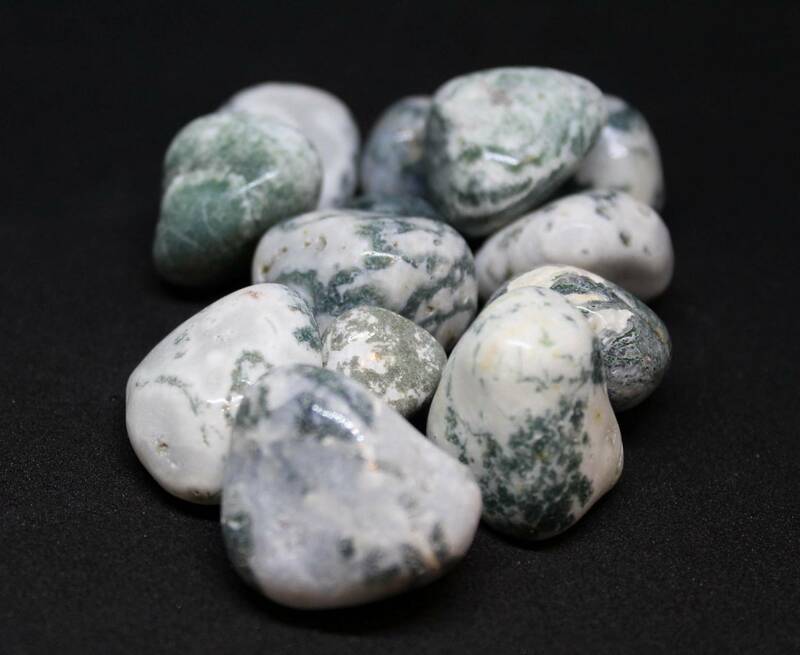 Interesting little green tree Agate tumblestones – these would make a great contrast stone against pure black or pure white stones. They have an interesting dendritic surface pattern which looks like the branches of a tree. As an Agate, they are perfectly suitable for use in a fish tank or aquarium, and would look great in a vase or a bowl too. 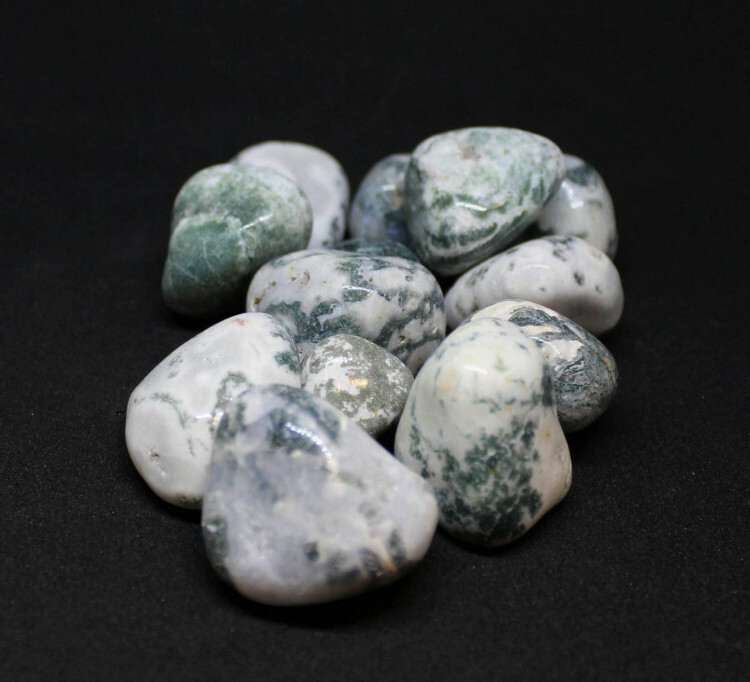 We offer a wide range of Agate products, as well as more information about the stone itself. Please see our main ‘Agate’ page for more. For a full list of all of our Agate tumblestones, see our ‘Tumbled Agate’ page.